Celexa is a popular antidepressant marketed by Forest Laboratories. However, some research has linked this and other SSRIs (selective serotonin reuptake inhibitors) to birth defects and autism when used by expectant mothers. What is Celexa Used For? Celexa (citalopram) is currently indicated to treat depression. However, it is also sometimes used off-label for the treatment of obsessive compulsive disorder, panic disorder, premenstrual dysphoric syndrome (PMDD), anxiety disorder, and post-traumatic stress disorder. The drug works by increasing the amount of serotonin in the brain. This neurotransmitter is thought to impact mood. The U.S. Food & Drug Administration (FDA) approved Celexa in 1988. In 2011, approximately 31.5 million prescriptions were dispensed for citalopram in the U.S. About 7.2 million U.S. patients were prescribed the drug that year. 2006: The FDA warned that the use of SSRI antidepressants in conjunction with certain migraine medications called Triptans may result in a dangerous increase in the brain’s serotonin levels, known as serotonin syndrome. 2006: The FDA issued a warning regarding a possible association between SSRI antidepressants and persistent pulmonary hypertension of the newborn (PPHN). However, the agency modified its stance in 2011 due to conflicting findings. 2007: The labels for SSRIs include a Black Box Warning regarding a potential association with suicidal thoughts in children, adolescents and young adults. 2011: The FDA warned that high doses of Celexa could be associated with changes in the electrical activity of the heart (QT interval prolongation),which can lead to a dangerous abnormal heart rhythm called Torsade de Pointes. The agency advised that the drug should no longer be used at doses greater than 40 mg per day. 2012: The FDA again revised the Celexa label to include new warnings about the potential for QT interval prolongation and Torsade de Pointes, as well as new drug dosage and usage recommendations. 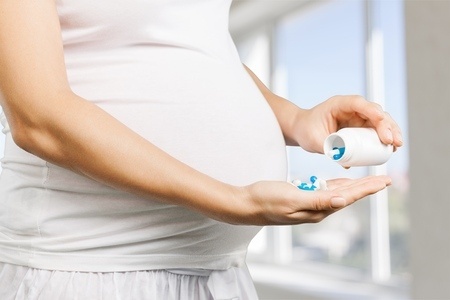 Some research has suggested that SSRI antidepressants like Celexa can increase the risk of certain birth defects when used during pregnancy. Heart defects, specifically atrial septal defects or ventricular septal defects, where among the most common abnormalities found. The drugs have also been associated with an abdominal wall birth defect called Omphalocele, as well as a skull defect called Craniosynostosis. A recent study also found that children exposed to SSRIs during the last two trimesters of pregnancy were 117% more likely to be diagnosed with autism spectrum disorder.